Heading south this winter? 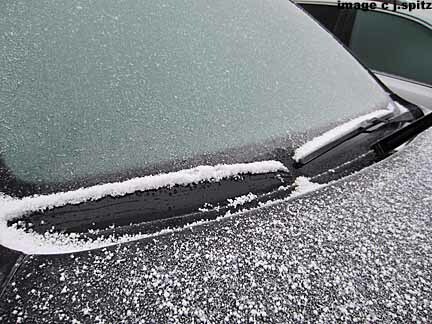 We’ve got you covered on how to defrost car windscreen! Winter comes with a whole host of new car problems. Luckily if you’re in Brisbane or further north like us, our beautifully mild winters mean you don’t need to worry too much about the frozen batteries, frozen locks, and frosted over windscreens our more southern friends deal with. But if you’re heading south to hit the slopes or visit friends and family this winter, it’s worth knowing how to safely defrost your windscreen. Firstly, plan ahead. The last thing you want is to be running late and find your car iced over. This tends to lead to risky defrosting methods, and you won’t be getting anywhere in a hurry with a busted windscreen. The safest way to start the defrosting process is to turn the car’s engine and A/C heaters / demisters on to start the ice melting from the inside, and remove moisture from the air. Starting it 20 minutes before you need to go should be plenty of time. For a bit of light frost in a warmer climate (like here in Queensland), simply giving it a hose down with the garden hose will melt the frost right off. You can also buy spray defrosters in auto supply stores, or it’s easy to make your own by mixing one part water and two parts 70% isopropyl alcohol in a spray bottle. Spray it on the windscreen to dissolve the ice. Once the ice has loosened, use a plastic scraper to get it off. It’s important that it is plastic – a metal scraper will take off the ice, and scratch up the glass nicely too! Never, ever pour hot water onto a frozen windscreen (unless you’re keen to be paying for a new windscreen immediately). Also don’t use your wipers to try to remove the ice as this will likely bend and damage the wipers. If you do happen to use some cold-lukewarm water or defrosting spray on your windscreen, make sure you’ve switched the wipers off the automatic setting if your car has it. Not only could the ice damage the wipers, but you’ll likely need an outfit change too. Bonus tip: If you find your windscreen misting up inside during winter and reducing your visibility, try filling an old sock with kitty litter and placing it on the dash. It sounds strange, but kitty litter is made to be super absorbent, so it will easily draw any excess moisture out of the air, leaving you with clear windows.